How to install software from outside the Windows Store? Windows operating system dominates the personal computer world, running, by some estimates, more than 90 percent of all personal computers. It is possible, because the inclusive nature of the Windows operating system, users are able to install all kinds of programs from the Windows Store or outside the Windows Store. Because of the settings of Installing apps, you may get the message as below when installing software on your computer. 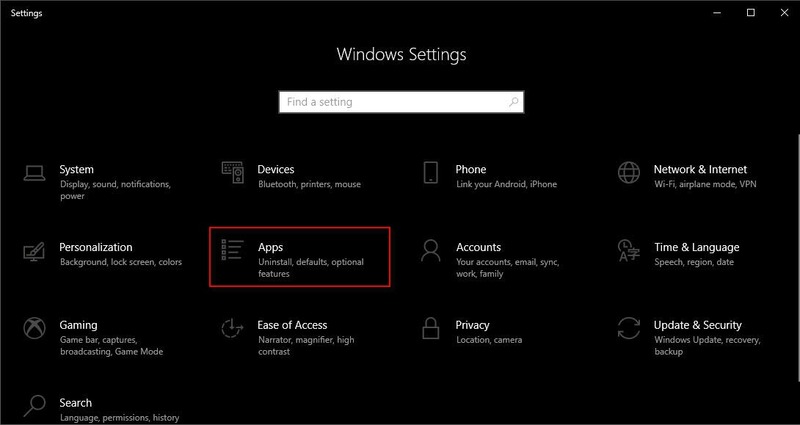 This article shows you how to change the settings so that you can install software outside the Windows Store. How to change the settings of Installing apps? 2. Under Installing apps on the right side, select Turn off app recommendations, Show me app recommendations, Warn me before installing apps from outside the Store, or Allow apps from the Store only from the drop down for what you want. (see screenshot below). Turn off app recommendations - You will be able to install both desktop and Store apps without getting a message dialog. Show me app recommendations - You will be recommended to select the Store app to install if the program has the edition of the Store app. Warn me before installing apps from outside the Store - You will be able to install both desktop and Store apps. 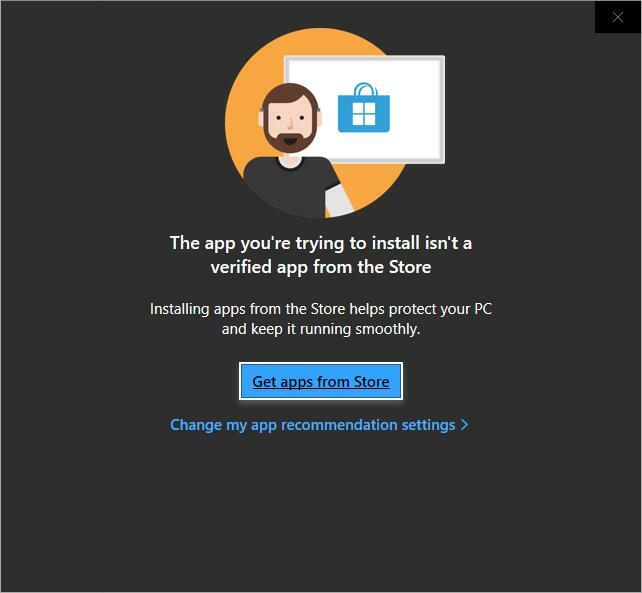 Users will get a "The app you're installing isn't from the Windows Store" message dialog when trying to install a desktop app to see if they want to visit the Store for more apps. 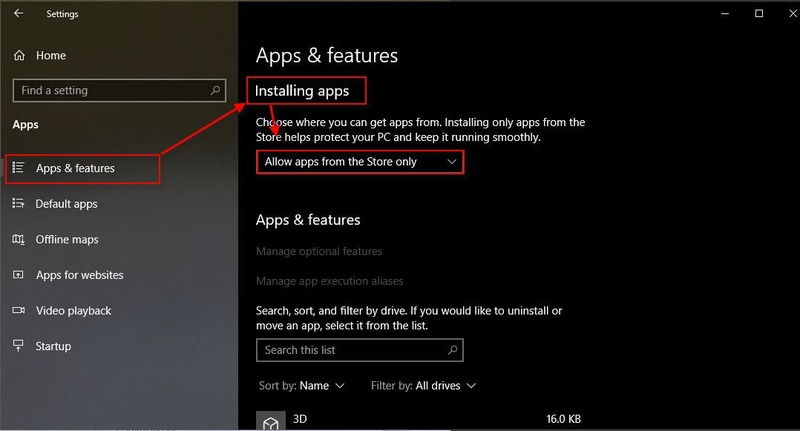 Allow apps from the Store only - You will only be able to install apps from the Store. If you try to install a desktop app, you will get a window that looks like the first picture of this article. 3. Please choose the option Turn off app recommendations in order to install software from outside the Windows Store.